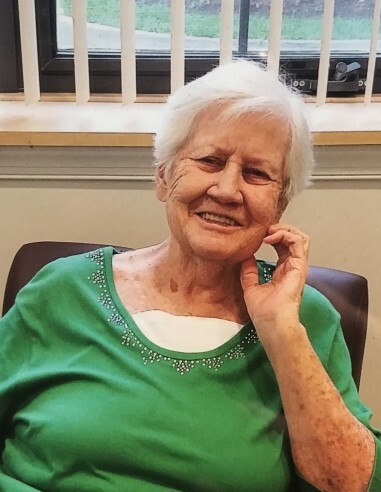 Obituary for Frances M. Leahy | Koller Funeral Home, Inc.
Frances M. Leahy (nee Fie) of Roxborough, April 9, 2019. Age 81. Wife the late David Leahy. Mother of Theresa White (Phillip), Karen Mulson (John), David W. Leahy (Joan), Marie "Mel" Kirkwood (Jason Blum), Stephen Leahy (Lori). Grandmother to David Baronett, Alexa White, John Mulson, Bett Mulson, Adam Mulson, Marissa Leahy, Natalie Leahy, Jaymi Kaplan, Allison Kirkwood, Stephen Leahy, Jessica Leahy and Kristina Leahy. Great-grandmother of Noah, Ryder and Emma. Relatives and friends are invited to Call on Monday, April 15 at 9 a.m. at Koller Funeral Home, 6835 Ridge Ave., Philadelphia. A Funeral Service will follow at 10 a.m. Interment will be in Calvary Cemetery. FLORIST: Flowers to be delivered between 3 and 4 p.m., on Sunday, April 14.